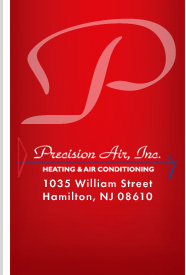 Precision Air is a one-stop shop for all your HVAC (Heating, Ventilation and Air Conditioning) needs. We install a broad range of heating and cooling equipment with complete design services; maintain most models of heating and central air equipment; clean duct work; and seal and insulate buildings. If you have a home comfort question of any kind, from energy conservation to new equipment to maintenance and repair, please don't hesitate to call or contact us. 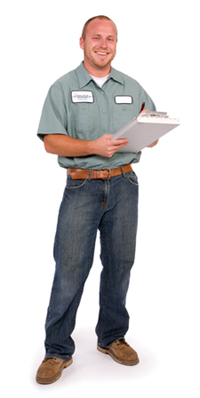 As a ServAssure dealer, our technicians are on duty or on call, 24 hours a day, 365 days a year. If you ever experience a heat emergency, you can count on Precision Air to respond promptly and do everything possible to restore your heat. If you need emergency service now, please call our office immediately - do not contact us via the website service request form. Precision Air sells equipment from some of the world's best manufacturers, including Carrier Corp., Buderus, Weil McLain, Burnham, Rheem and others. We can help with upgrades and installations ranging from simple furnaces to sophisticated hybrid heating systems, and are known for our fair, competitive pricing - as well as our familiarity with the various manufacturer rebates, efficiency incentives and state or federal tax credits available to you. Precision Air works closely with our customers to define their priorities and explore all possible options. Whether you are looking for high efficiency, alternative energy, or value pricing, Precision Air has the systems for you. Precision Air keeps customers comfortable 365 days a year with expert preventive maintenance services. We perform scheduled maintenance as required for all comfort systems, and we respond promptly to heat emergencies. Our Carrier Factory Authorized and NATE certified technicians use advanced diagnostic equipment, to test and fine-tune today's sophisticated HVAC systems and electronic components. We offer service plans that protect your equipment cost-effectively with a combination of preventive maintenance and repair coverage. 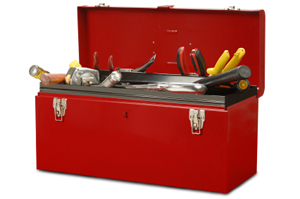 Annual system tune-ups on your heating and cooling equipment can increase efficiency up to 5%. In addition to keeping your home comfort systems working efficiently, tune-ups can discover potential problems before they turn into expensive repairs. Today's homes are more airtight than ever, because they are thoroughly sealed to increase the efficiency of the heating and cooling systems. But those very precautions can also compromise air quality by trapping airborne contaminants inside the home! Air duct cleaning can improve the quality of the air your family breathes indoors. Our advanced cleaning method brushes and vacuums at the point of contact, without harsh chemicals or sealers. This exclusive, video-assisted air duct cleaning system leaves you with clean, uncontaminated air in your home and office. Sealing and insulating the outer shell of a home or building is a proven way to improve indoor comfort while reducing energy consumption. Many older homes are inadequately sealed and insulated, which allows outdoor air to infiltrate, causing drafts and making comfort systems work harder than necessary. Precision Air can help with our air sealing and insulation services. We use high-tech diagnostic equipment to locate hidden leaks that can be hard to reach, then seal the outer shell and add insulation as necessary. To request an evaluation of your home's outer shell, please call the Precision Air office nearest you or contact us. You might also be interested in an energy audit, in which we evaluate every factor affecting your home or building's energy use, including the outer shell. To learn more, please visit our energy audit page. Precision Air designs and builds comfort systems for new construction and additions. Our work covers the entire process from selecting components and materials through installation and construction. We design the entire HVAC installation, including duct work, if needed. New systems can provide heating, cooling, humidification and air purification for the entire home or building. To discuss a project with a Precision Air Design/Build expert, please call the Precision Air office nearest you or contact us.